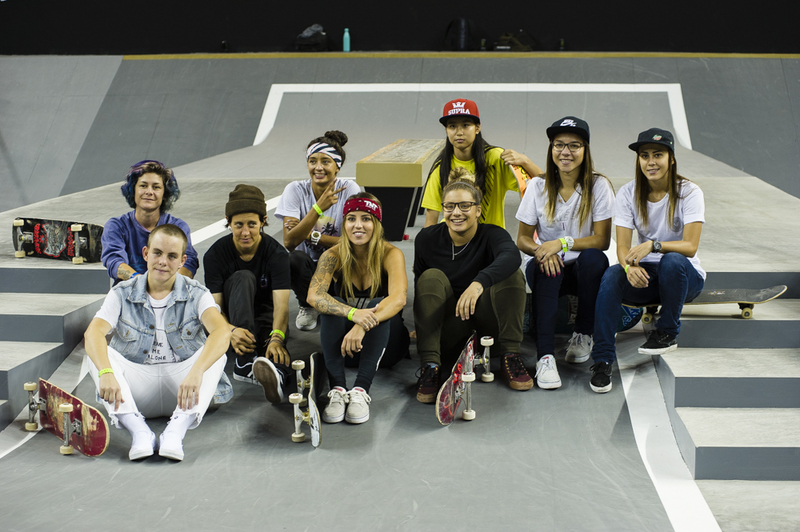 The first (and only) day of practice for the SLS Super Crown took place yesterday in Los Angeles where the early birds got a taste of the course to scout their lines and plot their tricks. Keep in mind that this is pretty much the only practice they get until they're throw into the fire live on Fox Sports 1! 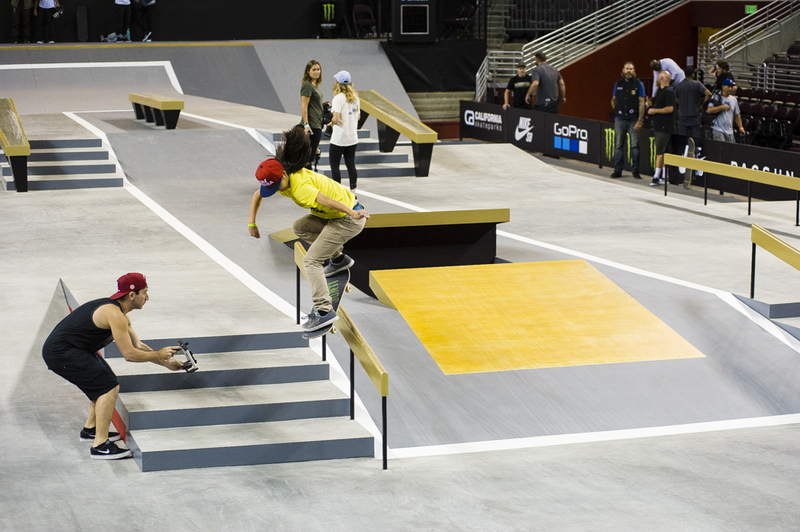 Tune in to FS1 or streetleague.com to catch all the live action from the comfort of your living room or local pub. Just ask if they have Fox Sports 1 and you're in the clear. Shane O’Neill, bigspin backside tailslide. Tom Asta, switch backside tailslide. Tom Asta, nollie heelflip backside noseblunt-slide. Shane O’Neill, switch 360 flip lipslide. Shane O’Neill, switch bigflip boardslide. Ryan Decenzo, gap to tailslide. Ryan Decenzo, gap to lipslide. Ryan Decenzo, frontside 360 ollie. Ryan Decenzo, backside Smith grind. Ryan Decenzo, 180 to switch crooked grind. Pamela Rosa, gap to grind. Paul Rodriguez, switch backside tailslide. 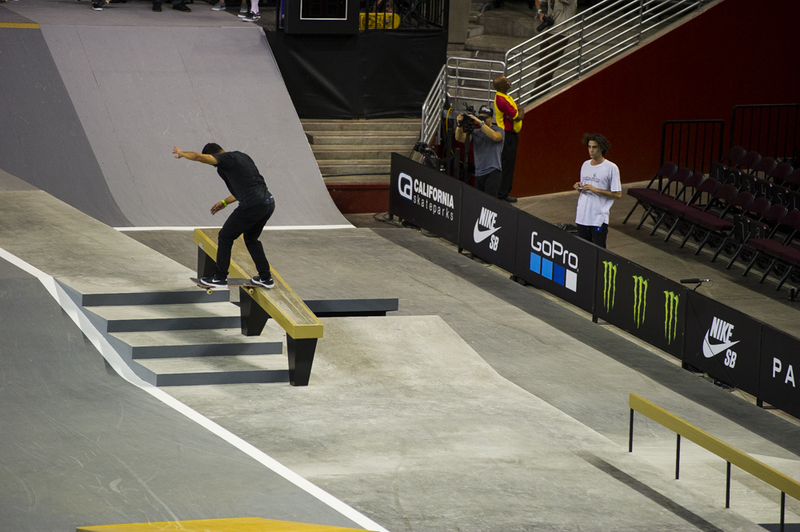 Paul Rodriguez, switch backside Smith grind. 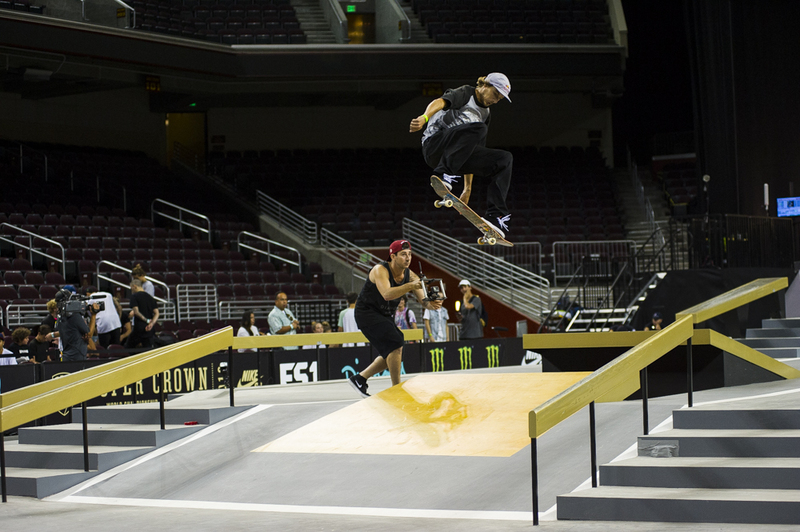 Paul Rodriguez, frontside bluntslide transfer. 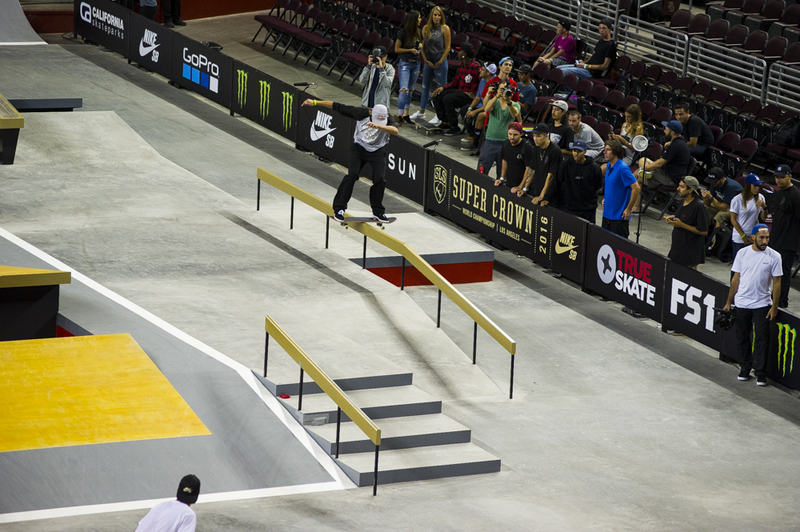 Nyjah Huston, switch frontside flip. 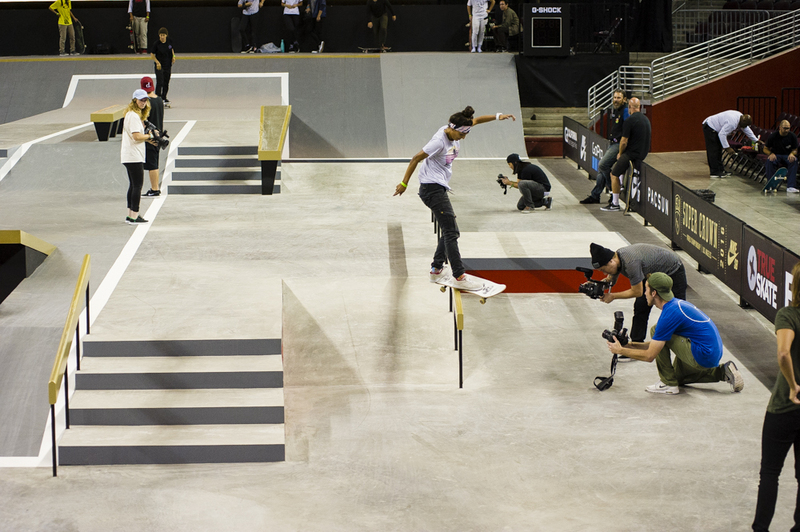 Nyjah Huston, nollie 180 heelflip. 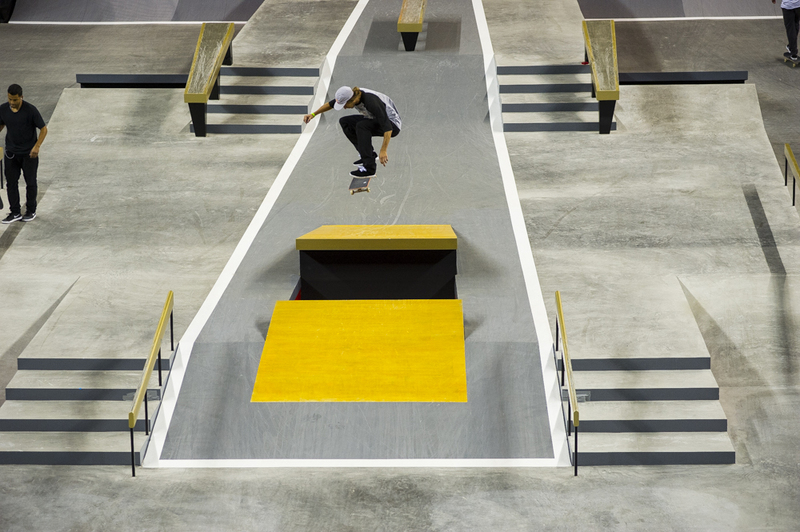 Nyjah Huston, gap to noseblunt-slide. 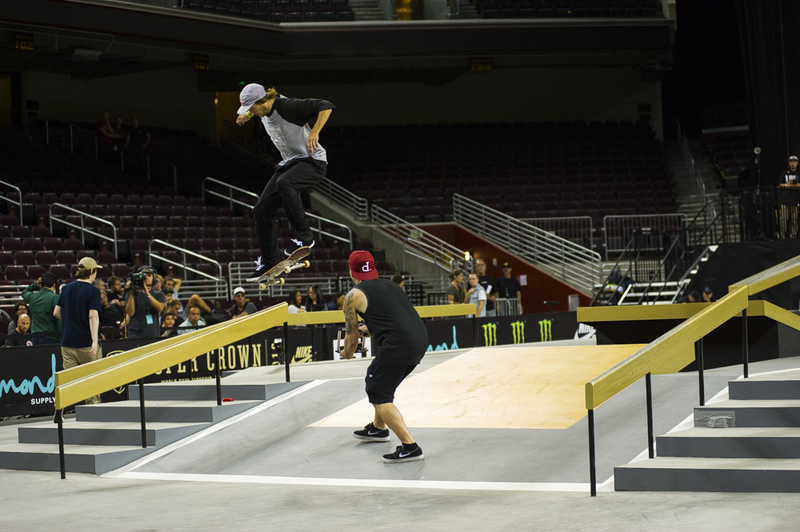 Nyjah Huston, frontside half Cab flip. 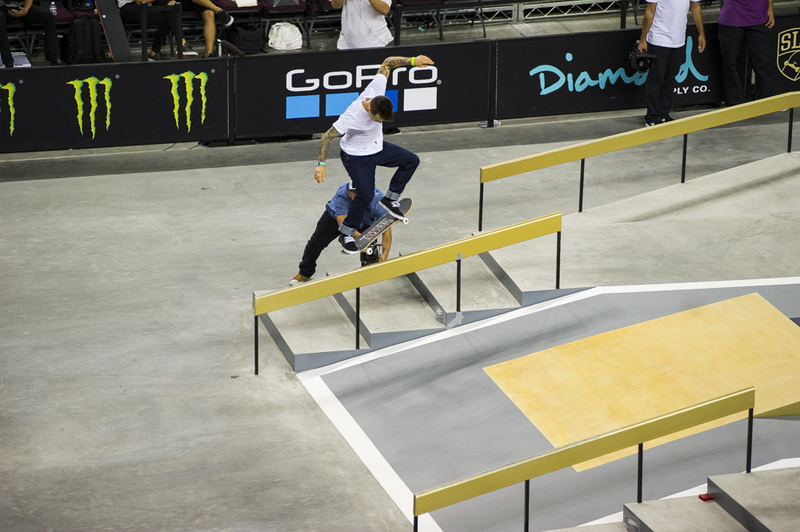 Cody McEntire, switch flip backside lipslide. Cody McEntire, switch kickflip frontside crooked grind.